What is the nature of bashert? Can a person have more than one bashert? Is it possible that my bashert be a person who was previously married? Is it bad luck to marry someone who was divorced? Are the odds greater that he or she will get divorced for a second time? In this series, we will attempt to share some ideas from our tradition, as well as present it with a psychological perspective informed by my experience as a therapist. Though us humans can never really know what G-d has in store for us, it still is natural for us to look for some kind of sign, guidance or indication that our actions are legitimate. We hope that our suffering and tribulations are part of a grand scheme and plan that Hashem has which ultimately is gam zu l’tova, for our own good. Actually, the title of this article comes from a well-known Gemara (Sotah 2a), which is often misinterpreted. Both the misinterpretation, and the proper interpretation, is of relevance to the question of remarriage. 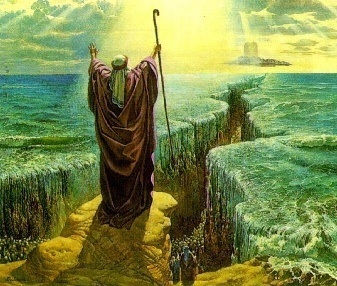 The Gemara asserts that creating a shidduch is as difficult as the splitting of the red sea. After raising a contradiction from another teaching which indicates that a person’s spouse is pre-destined or pre-ordained by heavenly decree prior to a person’s birth, the Gemara resolves the contradiction as follows: The teaching that a marriage is pre-ordained is referring to a zivug rishon (first marriage), while the teaching that it marriage is as difficult to accomplish as the splitting of the Red Sea is referring to zivug sheni (second marriage). Most often this Gemara is interpreted to imply that a second marriage, is so to speak, not bashert. This is a rather depressing idea, and fortunately, the commentaries interpret this Gemara in an entirely different manner, leaving us with a very optimistic message. Rav Yaakov Emden in his commentary on Sotah (2a) explains that the phrases “first marriage” and “second marriage” are not referring to a literal first and second marriage. Rather the first marriage refers to the Kabbalistic idea that each soul really consists of a male and female counterpart, which are separated at birth only to be possibly reunited through marriage -- if they merit such a degree of divine intervention. This is what we might call a “soul mate”. Rav Emden maintains that no human can know this, and only G-d knows for sure who is a “soul mate”. In any case, what this means is that there is a “perfect” or “soul-mate” out there which represents our true bashert. This soul mate is the one person that our best version of our selves is destined to marry. In point of fact though, everyone or even no one, may achieve this level of marriage. Rav Emden emphasizes that there is no way to verify this. Meiri (ibid) has a similar conception as Rav Emden, but stresses the notion of merit and deservedness. According to his opinion the phrase “first marriage” refers to the ideal marriage partner who is initially decreed before one reaches the age of bar mitzvah or bas mitzvah, when he or she has no merits or sins of his own. (Keep in mind, it was not unusual in the times of the Gemara and the Rishonim to have childhood engagements, with marriage often put off until adulthood.) The phrase “second marriage” refers to all marriages after the point that a person is a halachic adult, and from then on he or she must work to merit an appropriate marriage partner. In other words, our basherts, or our fate are constantly being re-ordered in response to our actions, be they sinful or meritorious. For the Meiri, zivug rishon is a starting point, and zivug sheini is an endpoint. The difference between Meiri and Rav Emden is that according to Rav Emden the zivug rishon is always the mystically ideal soul mate, whether you marry this person first, second, or never. While according to Meiri the concept of zivug rishon is the mate that matches you before you take any steps to merit a spouse on either a lower or higher spiritual level. As a concluding thought, we share with you an important principle that we advise all couples: Couples should set aside time to spend together without the children on a regular basis, preferably outside of the house. This principle is especially pertinent in the case of a blended family because a couple goes from romance to family burdens without any “shana rishona” time to develop the relationship. Is it expensive to get a babysitter and go out? Sure, but it’s cheaper than therapy, and perhaps more effective!